This post is authored by David Vallejo. Brighcove is an online video platform that allows to embed onDemand videos on your websites. It seems there’re out of there some people looking for a way to track it, so we’re going to learn how to track those videos within Google Tag Manager. 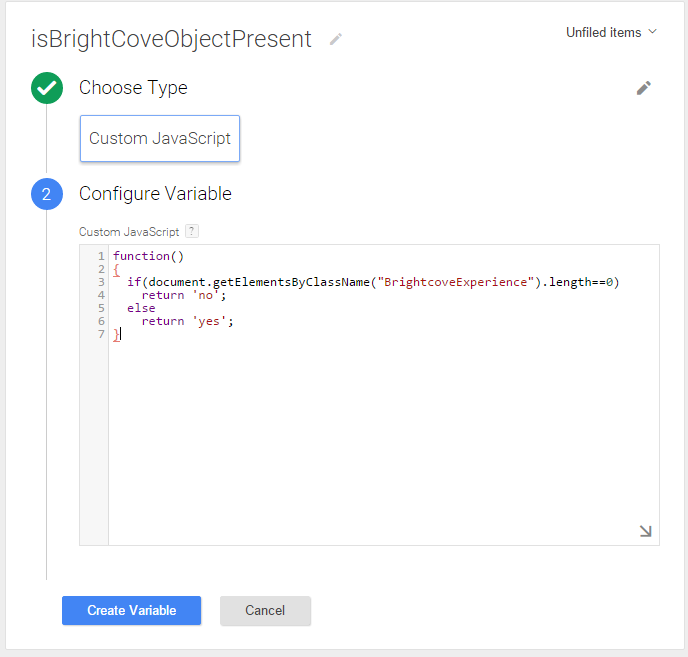 API needs to be enabled within BrightCove Interface. Embeds needs to have includeAPI and templateLoadHandler params in place. 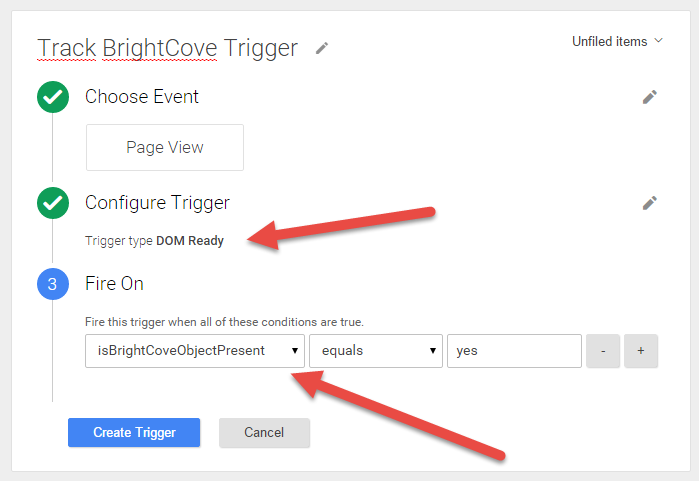 For being able to track BrightCove videos, we’re going to use 1 Custom HTML tag, 1 Trigger and 1 Variable. 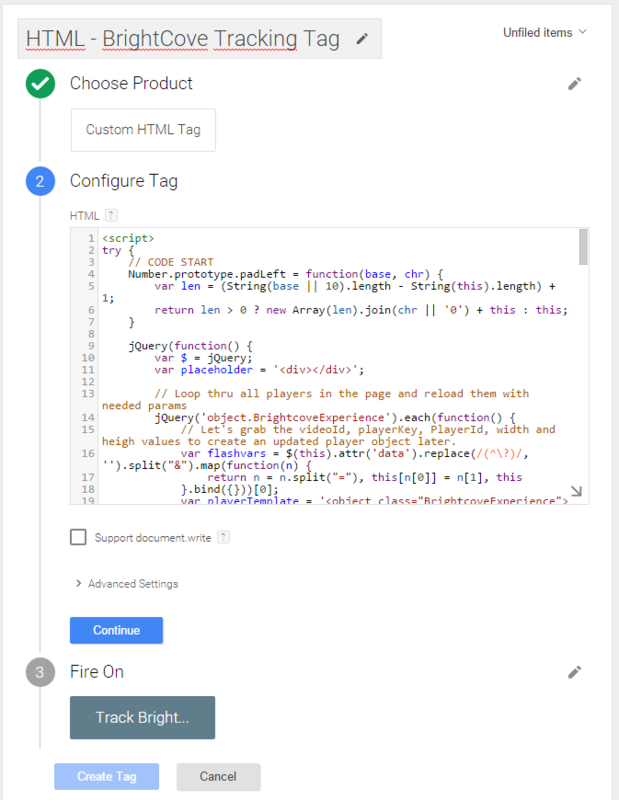 First let’s create the Variable, this one will allow us to know when a BrightCove Video is present on a page, to we just fire the tracking script when it’s needed. We don’t want to inject the tracking code were is not going to be used: Now, we’re going to create the Trigger that is going to fire our tracking code. Just to be safe, we’re going to fire it on DomReady and when our previusly created Variable equals to “yes”.